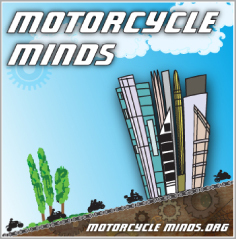 As reported by Right To Ride, the meeting of the Working Group on “Motorcycles”/MVEG took place in Brussels on the 21st October. The EU Commission presented its proposal for a regulation on type-approval and market surveillance of L-category vehicles. 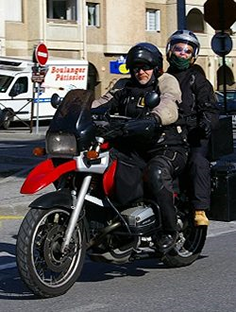 The Federation of European Motorcyclists’ Associations (FEMA) who were present at the meeting to exchange views, reports that the Commission has rejected FEMA’s objections to the Commissions mandatory approach regarding Advanced Braking Systems (ABS) and FEMAs compromise for the fitment of a mandatory “switch-off” option. 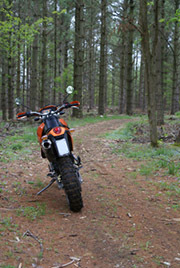 Apart from the outrageously condescending comment by the Commission, suggesting that riders are unable to decide for themselves, it is apparent that the Commission has NOT considered duel purpose motorcycles nor those used in competition or recreation such as Trail and Enduro bikes that spend most of their time on unsurfaced public roads – which they are legally entitled to use – that are legal with number plates, silencers, tax and insurance. FEMA’s logic for a mandatory switch-off button for bikes equipped with ABS, is due to the fact that ABS is not suitable for certain riding conditions, especially with regard to riding on unpaved roads. FEMA reports that, “The Commission (…) considers the number of citizens living in areas with a high percentage of unpaved roads as negligible compared to the broader riding population. Indeed, the Commission fears that too many riders would switch off the ABS also when riding on common roads, due to “unjustified lack of faith in new technologies”. In the UK alone, 42,500 Trail and Enduro bikes were registered between 2005 and 2009. These represented 10% of all registered motorcycles in 2005 and 6% in 2009 (these figures exclude those not registered). 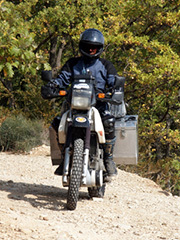 Larger adventurer motorcycles such as the Yamaha XT1200Z, Super Ténéré, BMW GS model range and KTM 990 Adventure all have means to disengage the ABS if fitted, the industry has recognized a need for this, or to offer motorcycles without ABS so that riders can choose the model that most suits their needs. We oppose the mandatory fitting of Advanced Braking Systems (ABS). We oppose any compromise that suggests acceptance of the mandatory fitting of Advanced Braking Systems (ABS). The motorcycle industry must be allowed to innovate these systems without legislative interference. “There is a risk that mandating ABS will deter manufacturers from developing alternative solutions that may offer similar or greater benefits and be more cost effective for particular categories of vehicle. The potential for alternative solutions, for example, voluntary commitments or consumer awareness schemes should also be explored”. “Our research suggests coupled braking is likely to provide additional safety benefits for motorcyclists although these are expected to be lower than ABS. However, this assessment was based on very limited information highlighting the need for a better understanding of the effectiveness of such systems”. PTW market segmentation and technical characteristics determine that no or low economies of scale would be achieved through a legislative approach. The ACEM “advanced braking systems” commitment ensures the large-scale deployment of all advanced systems (50% objective by 2010; 75% objective by 2015) on all PTWs providing benefits for both L1 and L3 categories. There is no scientific basis to support the mandatory fitting of anti-lock brakes to a particular category of PTWs. Determining legislative criteria for the fitting of the system would be an arbitrary exercise. A legislative approach would be detrimental to the variety of systems currently being developed by industry, potentially freezing innovation in the area of “advanced braking systems”. Mandatory anti-lock braking systems, applied on new vehicle architectures, would unnecessarily raise the vehicle market price to levels unaffordable for the potential market. Application of ABS (and indeed coupling braking devices) through legislation is incompatible with usage of type-approved trial and enduro bikes primarily designed for off-road use: being able to intentionally lock the wheels is essential in certain off-road conditions.